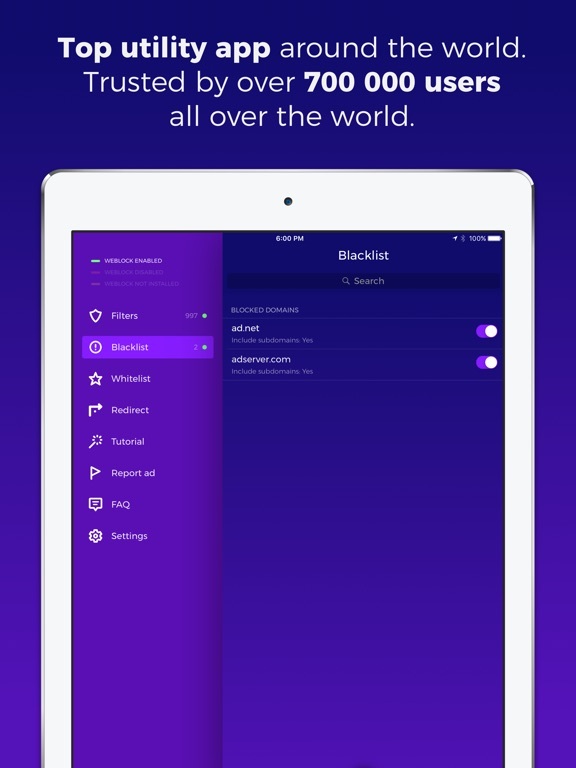 Weblock allows you to control how your device fetches online content. Easily manage PAC (Proxy Auto-Config) script and route different connections through different proxy servers. 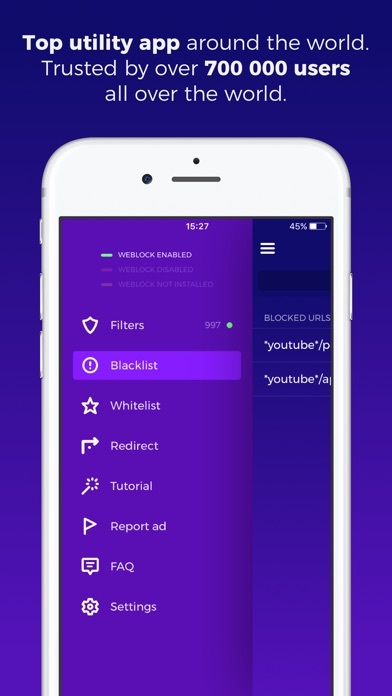 Weblock can make your device download ads (banners and popups), stats and user tracking, scripts or images through a proxy server you pick. It also allows you to use different proxy for specific websites, like Facebook, Twitter, Google+, social widgets from websites. 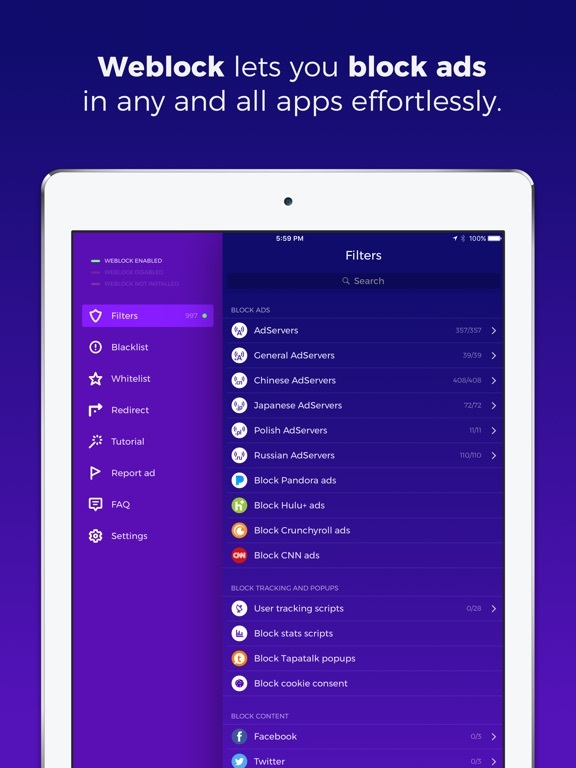 You can even define your own content filters. 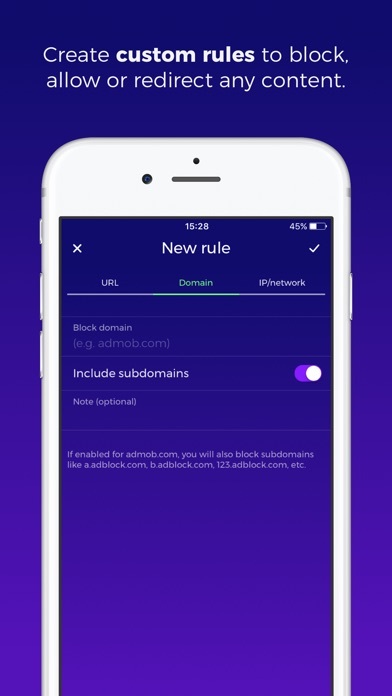 With Weblock you can control proxy for basically any network resource! 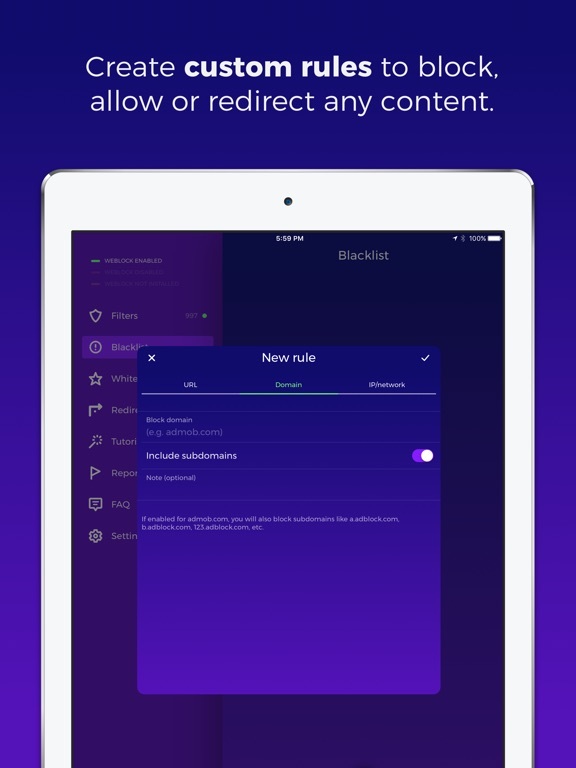 This way you can choose not to reveal your real IP to different services, limit advanced ad targeting and protect your privacy. NOTICE: You're responsible for selecting a proxy server that allows you to download content you wish to download. We DO NOT provide a proxy service. Using a bad proxy server (like 8.8.8.8:53) might result in some resources being blocked. You can control your proxy settings selectively with Weblock. Contact our support if you need help choosing right proxy server or setting up Weblock. 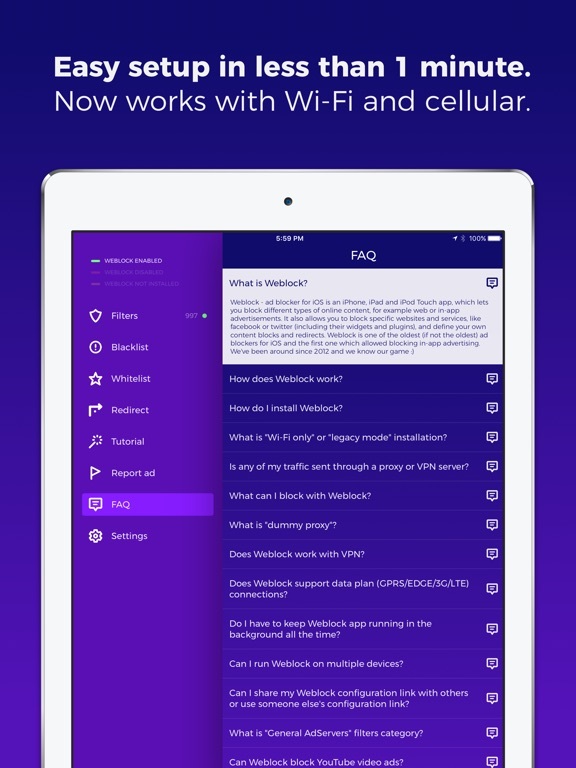 Weblock will work on any Wi-Fi enabled iOS device, including iPhone, iPod Touch and iPad. 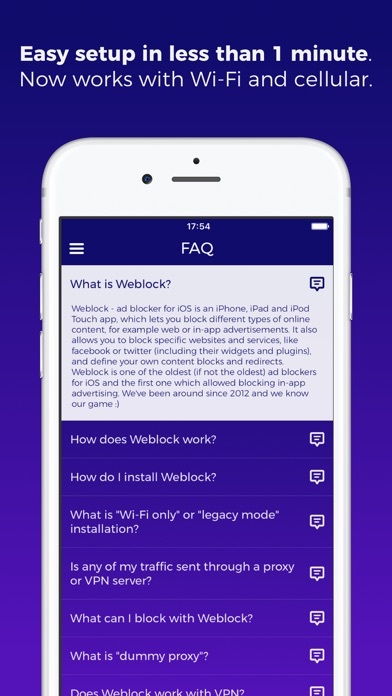 Due to system limitations, Weblock can work only while you are connected to Wi-Fi networks. Data plan connections (GPRS/Edge/3G/LTE) are currently not supported. 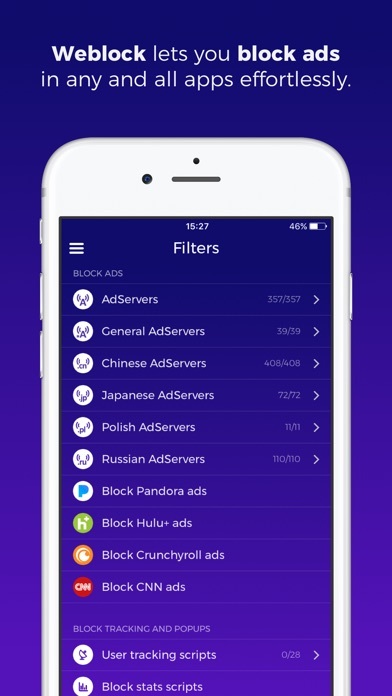 We had to remove the possibility to block ads with a VPN profile.